arnaud germain wildlife photography: Stone Fish. This is the fish that scares me a lot more than sharks. With sharks, you can tell by their body language if they are happy for you to stay in the water or not. Stone fish have venomous spines on their back that can make somebody pass out under water due to the extreme pain and rely on camouflage. They won't swim away if you come too close. They will just rise their spines. 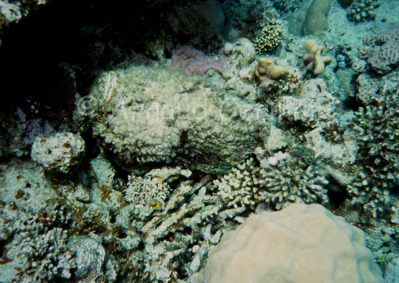 The camouflage is so good that they are incredibly difficult to see underwater. I used my Motormarine II camera with a Sea & Sea flashgun to take the shot.